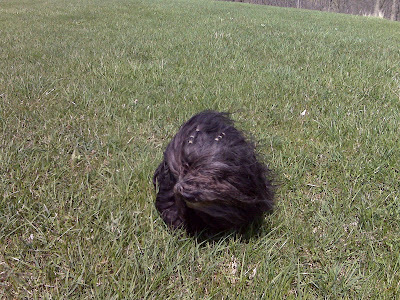 Poor Caillee dear, while out on Josie Hill the wind was blowing up a storm. Well with all her hair, it just looked like a storm was brewing. Nope, it was just Caillee and all her hair.